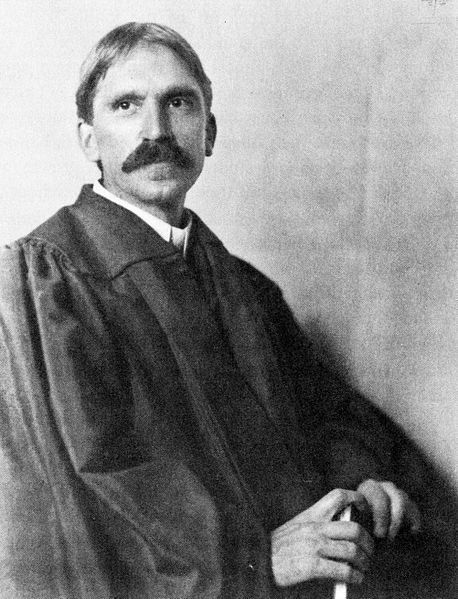 Dewey in 1902, the year he argued for music in the Laboratory School. That the history of fighting for music education programs goes back over one hundred years is disheartening, but it is a comfort to realize that educators often had amazing allies. During a research visit to the Center for Dewey Studies I came across 1902 correspondence in which John Dewey argued to keep music education at the University of Chicago Laboratory School. Below, I share an abbreviated version as a contribution to Music in Our Schools Month, particularly for those currently working to keep quality programs in place during difficult economic times. MARCH: Enterance of kindergarten, 1st., 2nd., 3rd., and 4th grades last with chairs. MUSIC: Wake Viol and Flute. The pleasure of working in an archive is that there is always the chance to come across something like this, and to share discoveries with others. Many music educators have experienced some version of Dewey’s story (budget cuts threaten music, appeal in part based on a dedicated professional teacher, survival for the moment). Some experience it every year—the wonderful teacher when I was in high school got a pink slip each year in part to drum up community support for the school’s budget, which can be taken as a convoluted but nauseating form of flattery. Those wanting to know a bit more about Dewey and his arguments for the arts in society should head over to this post on Nick Jaworski’s blog, and of course I always recommend Dewey’s Art as Experience. The correspondence I cite is available in the electronic edition, and you can also access this (and the lecture notes) at the Center for Dewey Studies. My thanks to those working at the Center for their help and generosity. This entry was posted in Uncategorized and tagged Center for Dewey Studies, John Dewey, MIOSM, music education, University of Chicago Laboratory School. Bookmark the permalink.